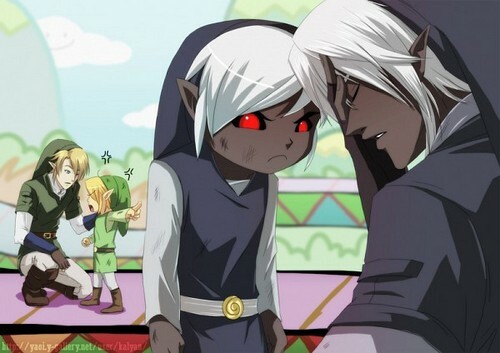 Parenting of the Links. Looks like Dark Link was being naughty..... Wallpaper and background images in the Super Smash Bros. Brawl club tagged: super smash bros. brawl image screen gallery snapshot. This Super Smash Bros. Brawl fan art might contain shoulder pad and tabard.